The Young Films Foundation, sister organisation to Scotland’s leading independent film development and production company Young Films, is pleased to announce its first Skye residency programme from Saturday 19th to Friday 25th May. Among the many familiar names visiting Skye to support this exciting new professional development programme is celebrated actor, and star of the Inbetweeners TV series and movies, Joe Thomas. Joe is headlining in this summer’s anticipated hit comedy The Festival, and is delighted to be able to get away to Skye for a few days, and to share his wide experience of the film industry with participants on the programme. He said: "My collaboration with producer Chris Young over the years has always been stand out memorable, so I am very happy to endorse this event. Chris has made Skye the hub for a lot of his creative endeavour, and it is great to see him wanting to share his vision and experience with the next generation of film-makers." Skye is home to the successful BBC Gaelic drama Bannan, which is now in its fifth year of production and about to launch its new season, with financing in place for a further three seasons. Bannan is the brainchild of producer Chris Young: the series has brought significant investment and employment opportunities to the island. Producer Chris Young said: "We are really excited about the upcoming Residency and look forward to welcoming our six participants to Skye to develop their projects. The week is already brimming with activities for them, thanks to the many visiting film industry leaders who are offering their input at the sessions: this will be a significant launch pad for new Scottish talents in film and TV. We are particularly grateful to our partners and to local Skye businesses, many of whom are generously hosting dinners, lunches and other events throughout the week." Amongst the visitors to the Residency is celebrated Scottish producer Andrew Macdonald, who includes amongst his successful output films such as Trainspotting, The Beach and Sunshine on Leith. As he said: "The film industry is hard to break into, and it is a great service to the industry in Scotland that this new residency programme is being launched by Chris Young. I am greatly looking forward to being in Skye and contributing to the sessions." Other well-known UK writers producers and directors who will be contributing to the programme across the week include Robyn Slovo(Tinker Tailor Soldier Spy); Margaret Matheson (We Don’t Talk About Love); Francesca Gardner (The Night Manager); David Moore (Outlander); Portuguese art-house director Vítor Gonçalves(The Invisible Life); Olivia Hetreed (Girl with the Pearl Earring);Charlie Martin (Doc Martin); Mike Leigh’s producer Georgina Lowe (Mr Turner), and producer and drama commissioner John Yorke, whose influential book on storytelling for film and TV Into The Woods will inform one of the many workshop sessions throughout the week. Also, and hotfoot from Cannes, where his latest film on Whitney Houston has its world premiere this week, the Foundation is delighted to welcome Oscar-winning director, Kevin Macdonald. In Kevin’s words: "I’m particularly happy to support Chris’s efforts to encourage and grow Scottish talent – there has never been any doubt that Scotland offers unique opportunities to film-makers, but clearly we need more home grown productions." The residency will round up the week with final pitches from the participants to John Yorke, Sue Bruce Smith, Deputy Director of Film4; Jeremy Kimberlin, Head of Rights, Channel 4 and Mark Thomas, Creative Scotland. 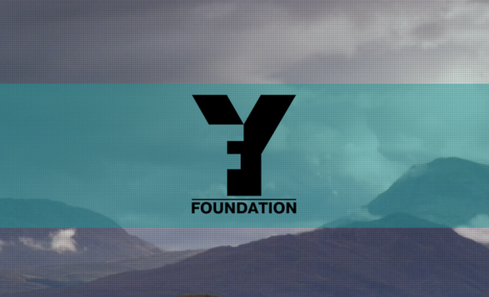 The Young Films Foundation is an exciting new not-for-profit company created by Young Films to develop new Scottish writing, directing and producing talent for feature film, TV drama and comedy. Supported by Film4, Channel 4, MG Alba, Creative Scotland, Highlands and Islands Enterprise, The List, Sabhal Mòr Ostaigand Torabhaig Distillery.